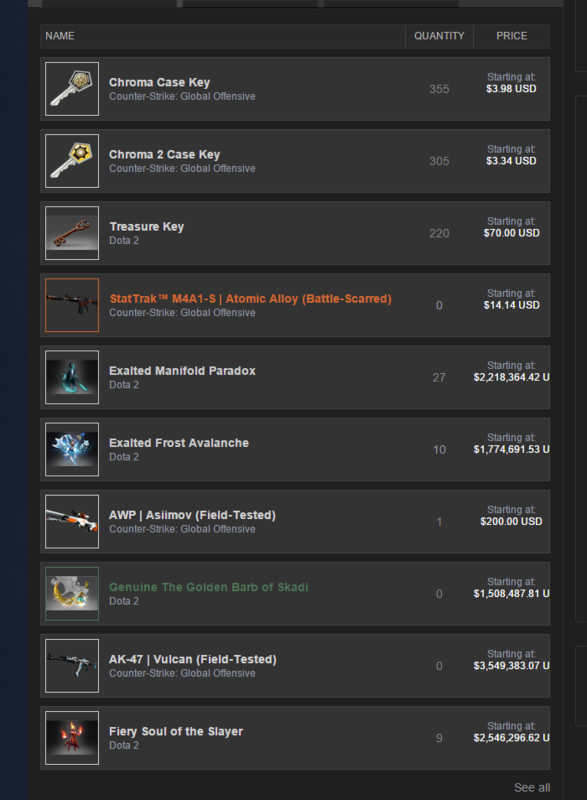 The Steam community market was buggered up big time today after a mix-up with currency conversion had items selling from practically nothing, to millions of dollars. PC Gamer picked up on the news after a thread on Reddit appeared with screenshots depicting just how silly things were getting over there. The currency exchange rate data for the market basically went loopy and was operating on a rate of 1 US dollar to 1 Indonesian rupiah, shunning the traditional 13,000 rupiah for every dollar formula the rest of the world adheres to. This meant that items listed for a two dollars were selling for two rupiah – which comes in at around the diddly squat mark – and on the other end of the scale, Counter Strike guns were selling for 3.5 million dollars. As you can imagine, Indonesian traders hoovered up the cheap items, and Valve quickly moved in to temporarily shut down the market.